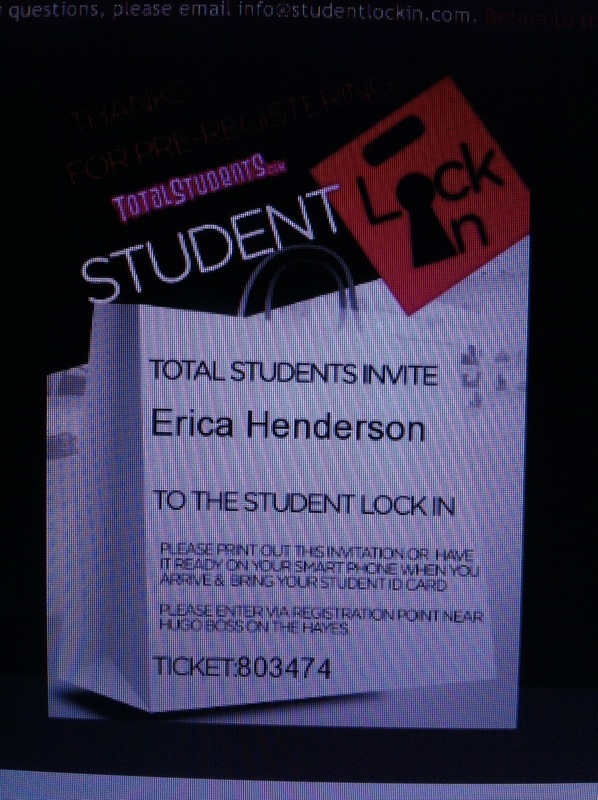 Every year St. Davids 2 shopping centre holds a student lock in. Its supposed to be a chance for new students to get some cheap autumn wear, discounted food and free drinks where all stores had 20% off. We saw through the plan, the students just got their loans and the shops wanted them to spend, spend and spend. Very well planned. 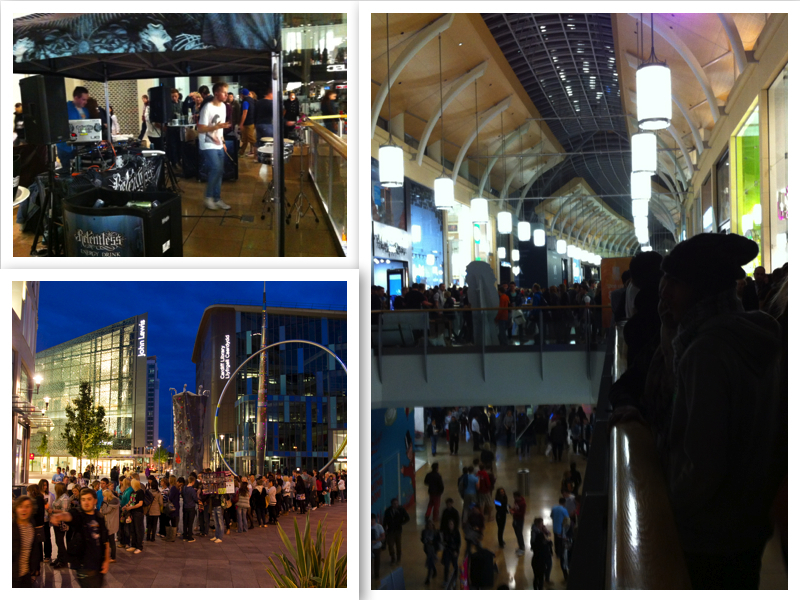 The queue to get in was around 15 minutes and inside the noise from so many different dj's was unreal. The whole centre was jam packed, I couldn't even walk around H&M. The queue for the checkouts in nearly every store was about an hour long. Krispy Kreme were even offering 24 d'nuts for £10! So all in all, it was a nice evening out but definitely not a quality shopping trip. 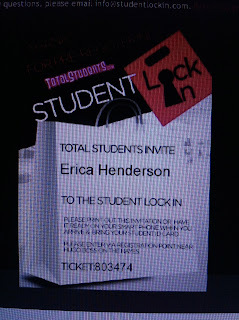 Disappointing as I had so much on the list, but I soon realised most stores had a 20% student discount anyway! Love this grey colour, next beauty buy! Emily modelling the new London range. 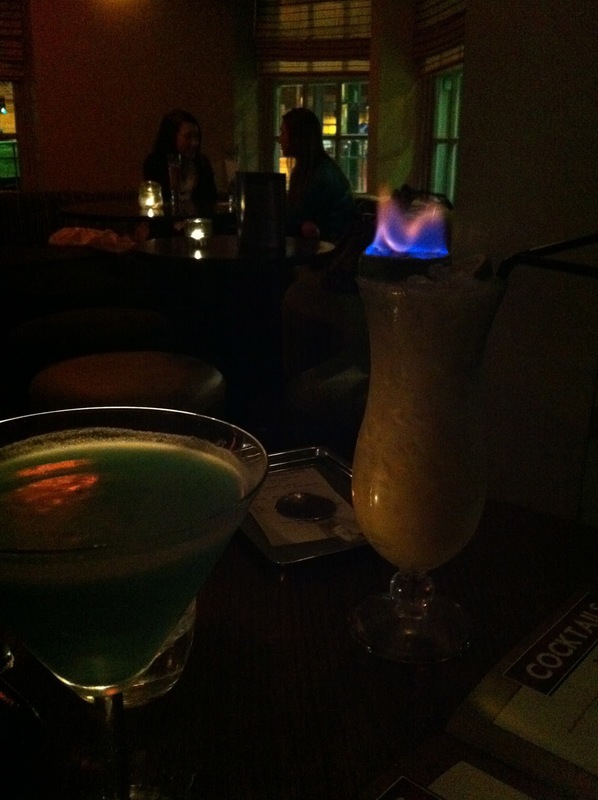 ... We ditched shopping after finding out Nails inc. only had discounts on treatments and went for some cocktails instead! Peppermint have 2-4-1 on the most amazing cocktails ever. I tried a Thai Whisper and it was amazing. Lychee, coconut milk, vodka and I can't remember what else, but it was lovely! 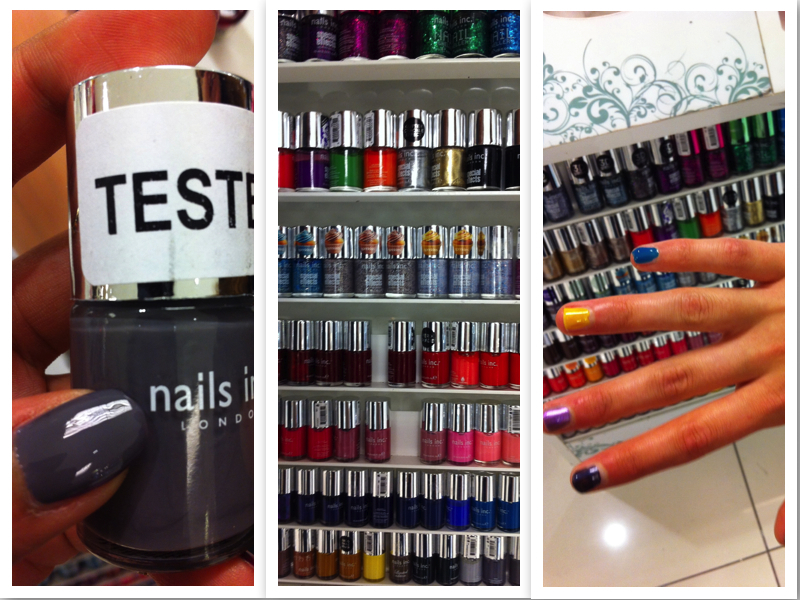 It was a fun girly night out, but not a shopping trip for sure! 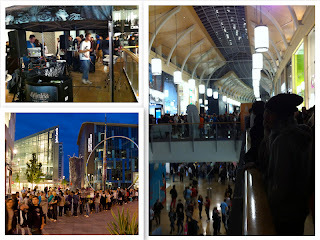 Have you been to any shopping events lately? They're cute aren't they, yea will be going back soon! Wow, that sounds hectic! Reminds me a little bit of black friday, except that gets ten times crazier so I just stay home where I'm safe :) Haha. Haha yea! Black friday is crazy!! It was! I will have a look! love that grey color nail polish, looks like you had fun! I really need to go back and get it, but not sure about £11 on polish! That sounds so fun! 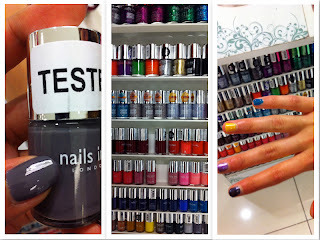 And what great and energetic nail colours! They're so bright and poppy aren't they! wow so many colors! love! xO!